It is the summer of 1952. 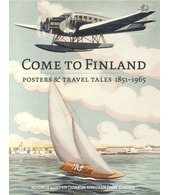 The summer of the Olympic Games in Helsinki. The frenzy of the competition fills the air in the capital city. The photographer Fred Runeberg has had enough of all the fuss. ‘Let’s get away and do some work!’ he says to his two sons. 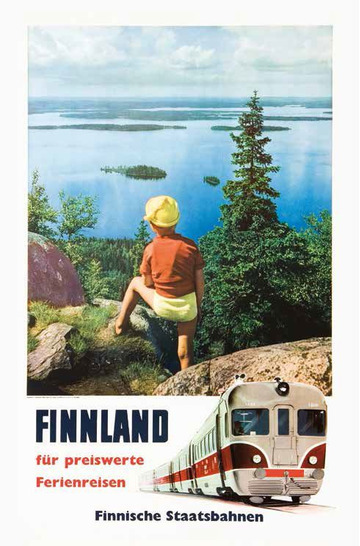 So off they set to Koli, a hilly area in the region of North Karelia. 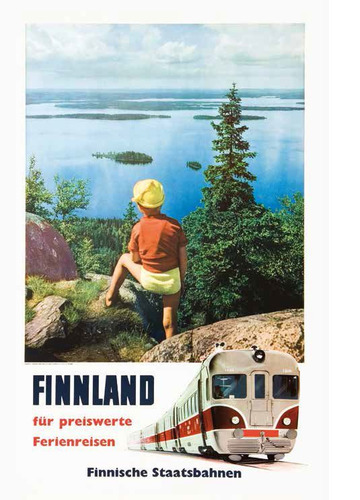 On the poster we can see Runeberg’s youngest son, Johannes, posing as a model. The older son, Kristian (1934-2018), mostly remembered that he was annoyed about missing all the excitement in Helsinki.